Get instant feedback to develop company culture and view real-time results using SurveySaurus. Our customizable survey tool is built with the needs of companies in mind. Unlike other survey services, we provide a level of professionalism in design and features not found elsewhere. Additionally, our surveys come equipped with a dashboard features as well as optional reports and printing so that you can translate numbers into action. Keep the Pulse of your Team. Never miss a beat with SurveySaurus. You’ll understand what’s working and what’s not within your company instantly using our survey platform. Continual Exchange of Information. Organizations generate more revenue when communication at all levels of the organization is performing optimally. SurveySaurus is built to accommodate the fast-pace of businesses with infinitely customizable features and a continual stream of communication between leadership and employees. Actionable Analysis. SurveySaurus’ survey-building tool generates valuable data and analysis to helps your employees grow and succeed. Improve performance, impact company bottom lines and retain high-performing team members – all with one tool. Predictive Analysis. Get ahead of your competition by being proactive instead of reactive. Know what’s not working before it becomes a problem. Know what is working and allocate more resources accordingly to jump-start growth. SurveySaurus Survey Builder allows your team to make informed decisions about the company as a whole and individuals. For example, tracking attrition risk, retention risk, flight risk. 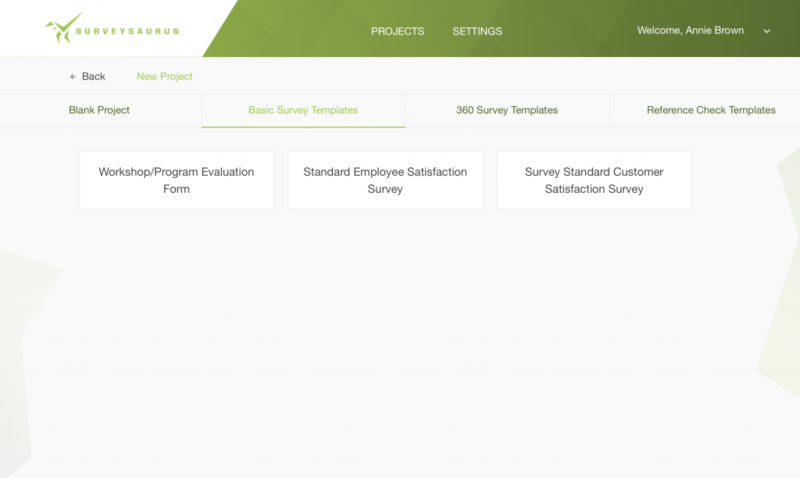 The SurveySaurus Survey Builder is a Free Tool – Try it Now!